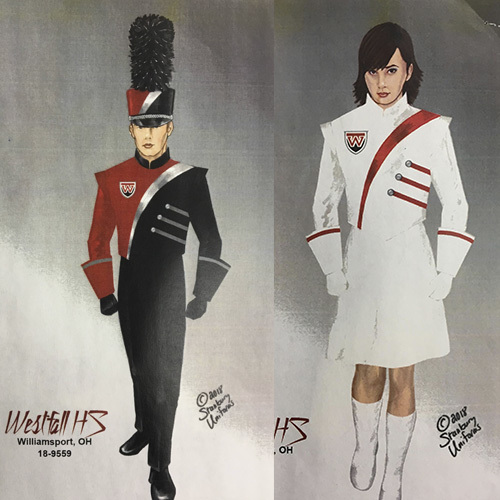 The Westfall Education Foundation recently approved a $10,000 grant that will help the band purchase new uniforms. The current uniforms are in desperate need of replacement. The current uniforms are 13 years old and the normal life being 8-10 years. 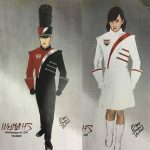 The total cost for 120 new uniforms will cost approximately $50,000. Research shows that music education helps students learn and enhances skills needed to be successful. This includes language development, spacial temporal skills, and even increased IQ (Brown, 2012). Sophomore band member Brooklyn Probasco echos this sentiment. “Band has helped me in so many ways. Band has helped me with responsibility, how to juggle multiple commitments, and has made me an overall better student” said Brooklyn. If you would like to help support the Westfall Band in their fundrasing efforts, please contact the band director, Mark Schaffnit (mark.schaffnit@westfallschools.com).